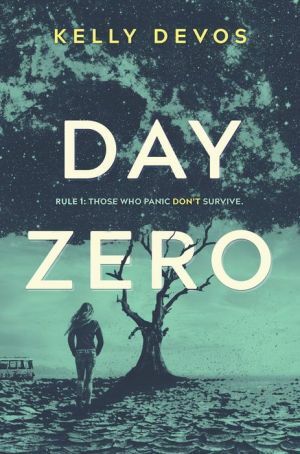 Seventeen-year-old coder Jinx Marshall grew up spending weekends drilling with her paranoid dad for a doomsday she’s sure will never come. She’s an expert on self-heating meal rations, Krav Maga and extracting water from a barrel cactus. Now that her parents are divorced, she’s ready to relax. Her big plans include making it to level 99 in her favorite MMORPG and spending her Thanksgiving Day break in Baja with her new hunky stepbrother, Tyrell. In a desperate attempt to evade paramilitary forces and vigilantes, Jinx and her siblings find Tyrell and make a break for Mexico. With seemingly the whole world working against them, they’ve got to get along and search for the truth about the attacks—and about each other. But if they can survive, will there be anything left worth surviving for?